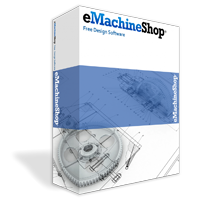 The free eMachineShop CAD software includes a pulley wizard. Just Download, fill in the dimensions and select a material. A pulley is a wheel that turns on an axle to support movement of a rope or cable. Add any needed additional features.